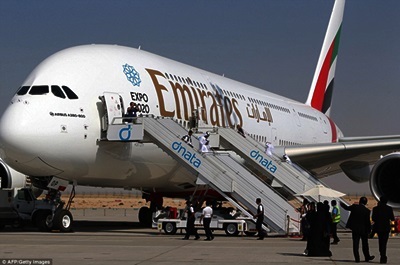 Dubai-based airline Emirates recently announced its 29th consecutive year of profits, despite a turbulent year for aviation and travel. According to a job posting on the Emirates website, the airline is looking for captains and first officers for Airbus A380 and Boeing 777 aircraft. The vacancies are for A380 and B777 passenger, and B777 freight services. A captain for passenger A380 and B777 will get a total monthly salary of Dh58,770 a month, while a freight captain will earn Dh47,875 per month. A first officer flying a passenger A380 or B777 will take home Dh44,450 every month, while a first officer with the freight services will earn Dh35,925 per month. Captains and first officers with passenger services get 42 days of annual leave every year, while those associated with the freight services get only 12 days a year. Looking at the roster, captains and first officers with passenger services get minimum eight days off a month and work on average 800-900 hours every year. Those associated with freight services have a "28 days on/13 days off" roster and work on average 500-600 hours yearly. All captains and first officers will get life and accident insurance, medical and dental coverage, and loss of licence insurance. They also get chauffeur drive facility, platinum discount cards, company uniforms and dry cleaning.